Scattered across Cornwall you’ll find numerous historic churches that often have interesting stories and legends attached to them. Whether you’re interested in the histories, legends, or the beauty of the churches themselves – there are a few in particular churches that stand out and you may want to make a point to visit whilst on holiday in Cornwall. Located near Truro, St. Just in Roseland Church is one of only two churches dedicated to this lesser known saint, and is said to have been erected on the spot where Joseph of Arimathea came to shore with Jesus. Although considered to have been founded in 550, the current building was erected in the 13th century. While its history is intriguing, the real draw of St. Just in Roseland Church is its breathtaking beauty. The picturesque small country church has exquisite stained glass and majestic vaulted ceilings, but what really sets it apart is carefully tended riverside gardens of sub-tropical shrubs and trees. If you’re looking for a historic church that is a hidden gem, St. Just in Roseland Church won’t disappoint. 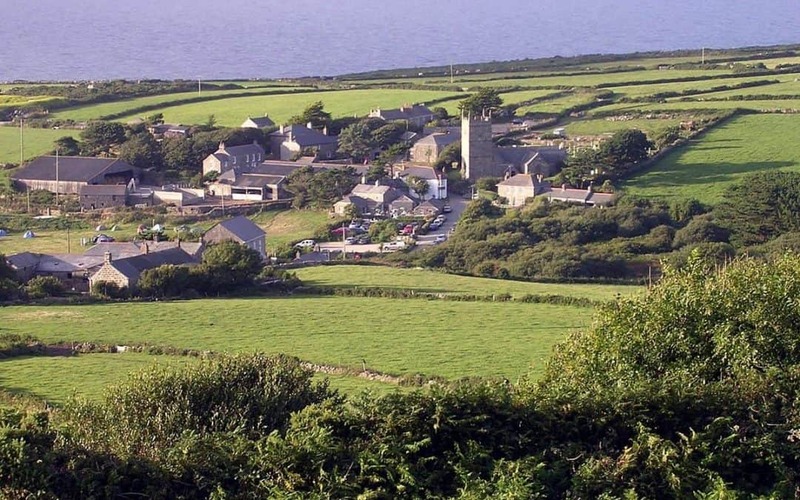 Set in the small Cornish village of Zennor, the St. Senara or Zennor Church is a unique historical curiosity. The current building was built in the 12th century, but supposedly stands on the site of a previous cell founded in the 6th century by the saint Senara – whose name was adulterated over the centuries to Zennor. Some legends say that Senara was actually a Breton princess named Asenora, while others involve the strange ancient mermaid carving on the medieval chair in the church. There are other points of interest in the church too, including a 1737 sundial, a memorial to John Davey (the last person to have a real working knowledge of the Cornish language), and various other relics and artifacts. Steeped in history and legend, the St. Senara Church is bound to pique your interest. Situated high on the cliffs above the village of Tintagel, St. Materiana’s Church is a historic treasure. Little is known of the saint for which it is named, though it is speculated that she was a 5th century Princess of Gwent named Madryn and that the original Tintagel church was founded as a daughter church of Minster – which is also dedicated to St. Materiana. Like many other ancient churches, the present building is newer and dates to the 11th century – though it does include earlier Saxon features. The tower that rises from the church came later, estimated to be in the 13th century, while the north porch was built in the 14th century. The most ancient historic artifact in St. Materiana is a Roman milestone dating from the time of Emperor Licinius who died in 324. It now stands inside the church alongside other historical artifacts and some interesting stained glass windows. Exploring the old graves outside is bound to yield some finds, as the view from the cliffs will take your breath away. In many ways St. Mawes is a quintessential example of the Early English style of churches, and has a simple layout consisting of a nave, chancel, and porch with a bell tower over the west gable. Its interior décor is similarly minimal in true Victorian-era aesthetics, which makes the painted glass windows stand out all the more. St. Mawes Church has a unique significance to its town and prior to its construction the townspeople used to journey to St. Just in Roseland to worship due to the fact that the 5th century chapel they used to frequent was abandoned and fell to decay. As such the small church of St. Mawes built in the 1881 was of particular importance to the township, and became an integral part of it. Originally the site of an importance monastery in the Middle Ages, the church was dedicated to the saint Akeveranus. That name was eventually adulterated to Kieran, before finally the name Keverne was adopted. While the current building was mostly constructed during the 15th century, parts of the older building remain and were re-used during its construction. It is large considering it is a village church, and its churchyard is full of graves – mostly from ships wrecked on the Lizard Peninsula’s treacherous coast. There are lots of interesting aspects of St. Keverne, including its carved bench ends, mural, and unusual spire. However what often draws the most attention is the carronade that stands at the lych-gate to the churchyard and was recovered from the HMS Primrose that was wrecked off the coast with only one survivor – a drummer boy. There are lots of other historic churches in Cornwall, but the five listed above are well-worth a visit. Providing a keen appreciation of the history of the region, spread across the centuries.